Well, that’s the question this new series of posts will hope to answer. Over the next few weeks, we will be naming nominees for the best disc golf disc in a variety of categories and awarding one of the nominees with the title of The Infinite Discs Best Disc Golf Disc in each category. Will our nominees and winners be subjective? Absolutely, but we will do our best to be fair and impartial judges. How will we choose our nominees and winners then? The two key words we will use to guide us in the nomination process will be popularity and utility. 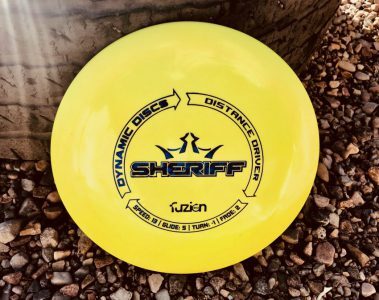 We want to select a popular disc that can be utilized by disc golfers at a large variety of skill levels and arm speeds. We will also try to avoid nominating similar discs from the same brand. For example, we won’t be nominating both the Destroyer and the Wraith from Innova. While they are two different discs that can be used differently, that difference is slight enough to not merit nominating them each individually. Today, let’s discuss the best disc golf distance drivers. We will first take a look at the top 10 selling distance drivers of 2018, and then I will name our nominees. If you have followed any of our sales reports, this shouldn’t be a very surprising list. The one that surprises me the most would be the Discmania PD. It wasn’t a new release this year, but its popularity has grown significantly over the last few years. This is a category that has been dominated by Innova for a while now, but as you will see in our nominees, there are other manufacturers that are producing high quality distance drivers that continue to grow in popularity. 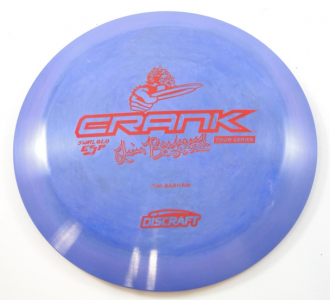 The Discraft Crank was originally released in 2013. Ever since then, it has been a staple in the Discraft lineup that has provided throwers with a long, slightly understable flight that works great for intermediate players who are just getting the hang of the distance drivers, but it still has enough stability for more expert throwers who need a reliable understable flyer that can just sail forever. The DDx set the disc golf world on fire during the summer of 2016 with a hot release that was highly anticipated. The DDx is rumored to have been created by combining a Destroyer top and a Tern bottom. I’m not sure how true this is, but this allows for a great explanation for the DDx‘s flight pattern that is enjoyed by players of all skill levels. It isn’t too understable like a Tern is for some, and it isn’t too overstable like a Destroyer is for others. The DDx is a straight, stable flying disc with glide for days. 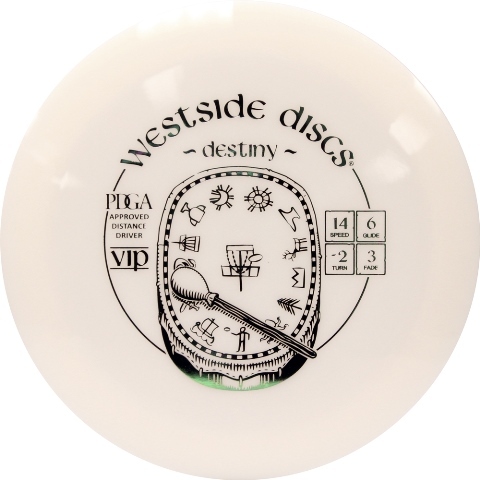 The Westside Destiny might be the most understable distance driver nominated, but don’t assume you have too much arm speed if you haven’t tried it yet. The Destiny offers higher arm speeds a reliable hyzer-flip disc that (in the right conditions) can turn over and sail a long time before slowly stabling up to have a soft fade to finish. If you’ve tried throwing the other discs nominated here and can’t seem to get the distance your more experienced friends are getting, try out the Destiny. The consistent king of the sales charts, the Destroyer definitely ranks high in popularity. It has an impressive performance as well that nearly all disc golfers can incorporate into their game. It may not be considered the most beginner friendly, but this disc is available in a wide variety of weights and plastic types that make it accessible for nearly all skill levels, and it is a disc that players do not outgrow. There has been some speculation already that the Destroyer will suffer from the recent Paul McBeth news, but they have a short memory. The Destroyer has been a game changer since 2007, and I think it will be just fine without the McBeast. The old question in the distance driver world was do you prefer the Nuke or the Destroyer? 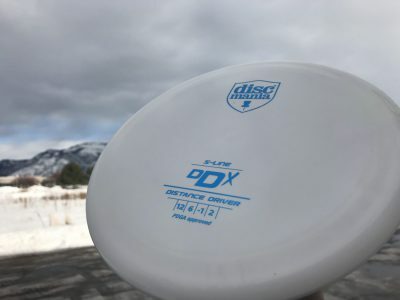 Since then the distance driver world has gotten much more crowded, but the Nuke still remains a favorite for lots of disc golfers who prefer the higher speed and larger rim that it offers. 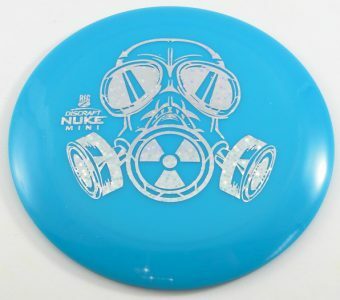 Like the Destroyer, Discraft has made the Nuke available in a wide variety of plastics and weights. The Sheriff came to town in 2017 with a very welcomed reception. The Sheriff offers a little more stability than the Westside Destiny, making it one of the most utilizable distance drivers in the trilogy lineup. The Sheriff can be hyzer-flipped by the big arms, and it offers reliable distance for nearly all skill levels. The Shryke has had a somewhat sneaky climb into prominence. It rose above other understable high speed drivers that Innova released before by offering that perfect balance in stability that allows higher arm speeds to still enjoy and maximize the distance in the Shryke. For many players, the Shryke has become the Destroyer light. 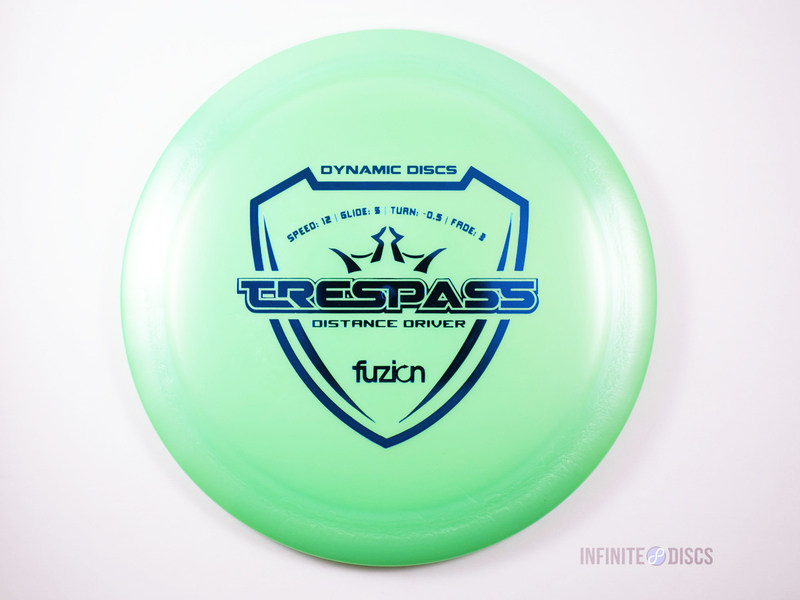 The Trespass was one of the first discs that Dynamic Discs released when they began manufacturing discs in 2012. It has been a strong seller ever since, and it was one of the first discs that really disrupted the “Nuke or Destroyer” train of thought. It disrupted the market with a similar flight in the now popular Swedish plastic blends, and now the Trespass has become a household disc golf name. No upsets here. 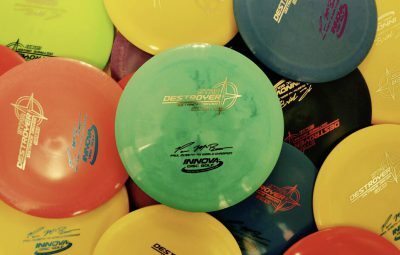 The Innova Destroyer was a game changer when it was first released over 10 years ago, and it continues to be a force in the disc golf community. 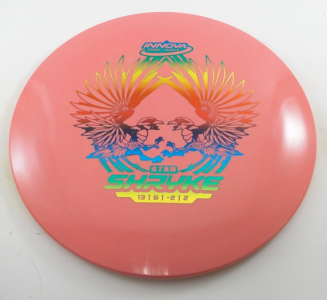 It is available in nearly all plastics and weights, so if you haven’t given this disc a shot, you should be able to find a Destroyer that will fit for your game. 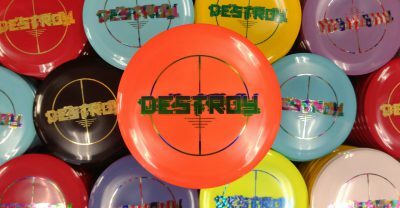 We have thousands of Innova Destroyer’s in stock in dozens of fun and limited edition stamp types. The Fuzion Sheriff is my favorite driver. It doesn’t have as much stability as a Boss, which helps me get more distance, and I know it will always fade at the end. I can throw it about 330-350 with a forehand. I have tried many drivers before, but none of them have had the same feel and flight of the Sheriff. I’ve thrown all of the above discs at one time or another and seeing the list I’m thinking I need to revisit some of them. New to disc golf so my discs are evolving, but right now when thrown correctly #1 is MVP Plasma Wave and #2 Innova Star Wraith. This is distance with accuracy combined. As an intermediate DGer my Mamba annd Tern are the best for me! I like the Nuke,Crank,Trespass, and Destroyer in that order. But I use a Krait and Sampo as Distance drivers for their consistent stability. Unfortunately, as many may know, Innova is not consistent in their manufacturing process. A lost disc can be hard to replace. I think the best is the Tern (or the slower Beast), It can be used effectively by beginners, intermediate and advanced.